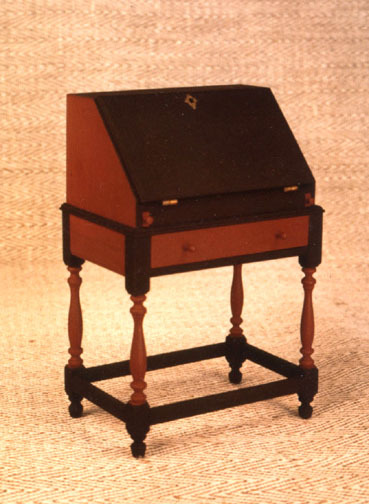 In October of 1982, I built this painted Pine desk. 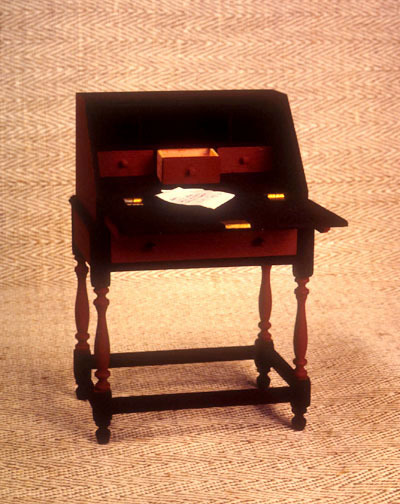 This is a copy of a desk that president John Adams once owned. The colors are typical of the period, where paint was milk based, with few color variations. All the drawers work, and the top is supported by bars which are pulled out before the top is opened.